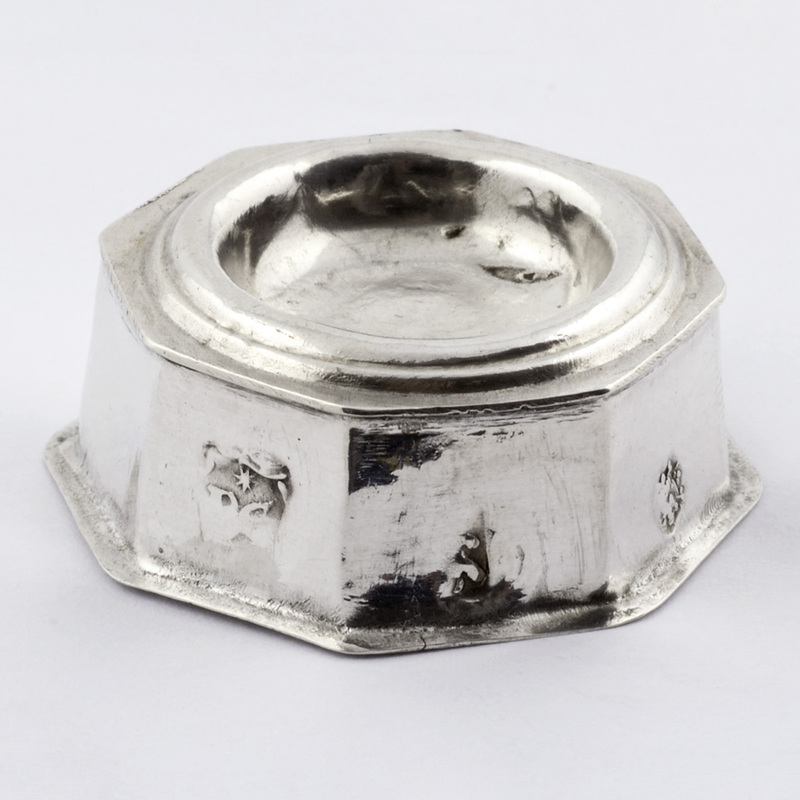 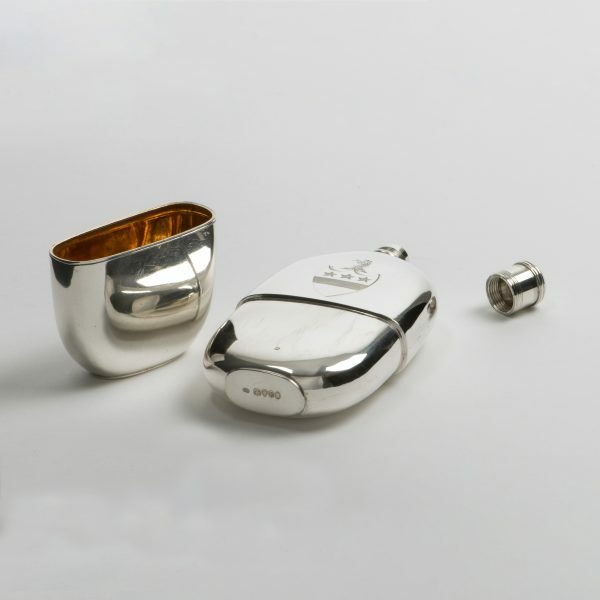 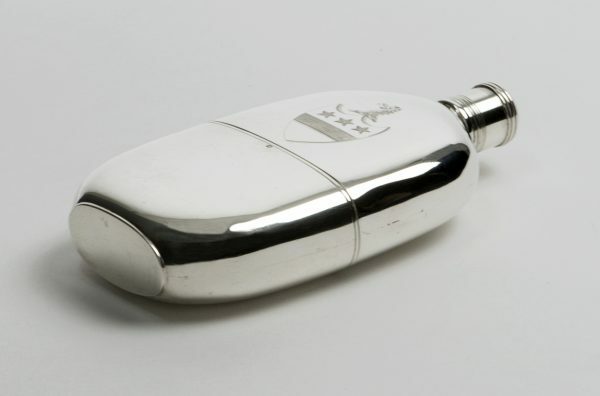 A William IV silver Flask. 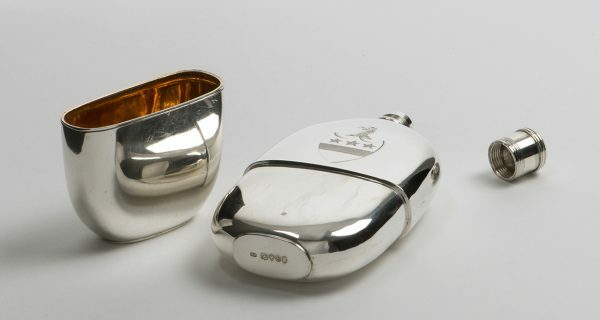 A William IV silver Spirit Flask, with a detachable cup with silver-gilt interior, London 1837, the maker ‘GR’ – possibly George Riddle. 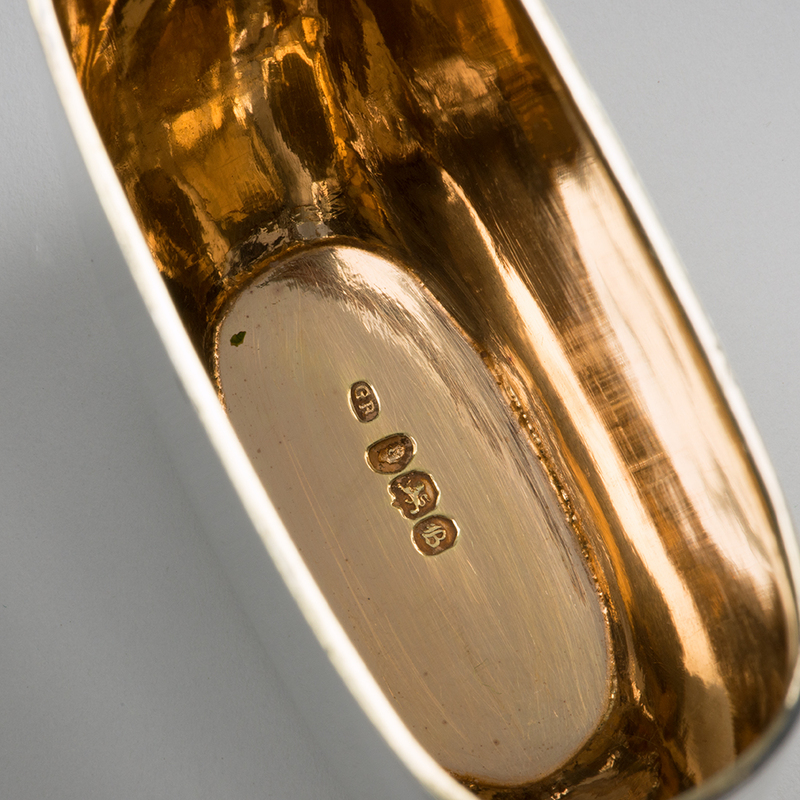 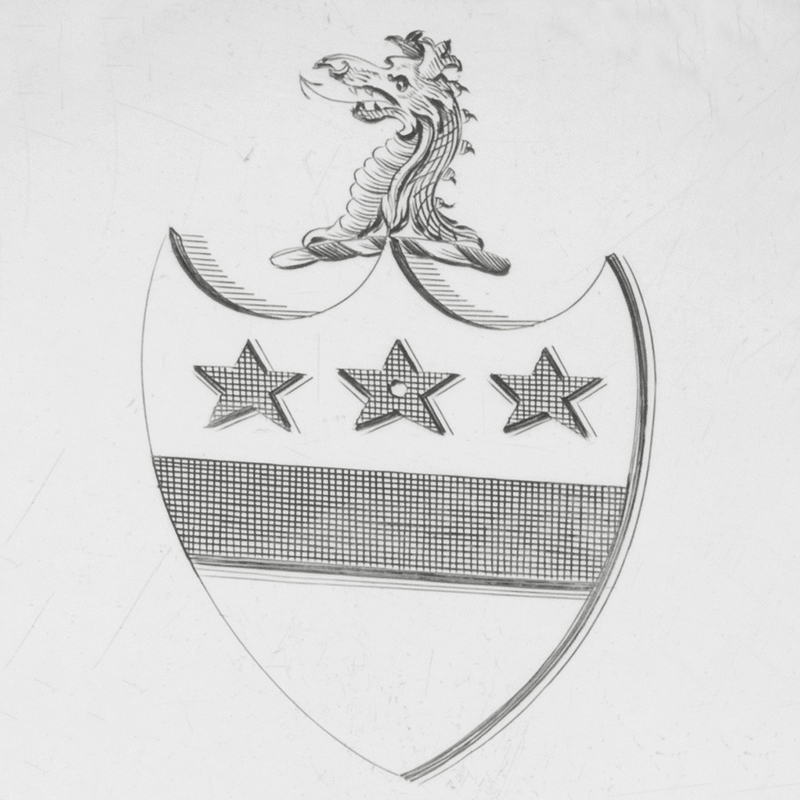 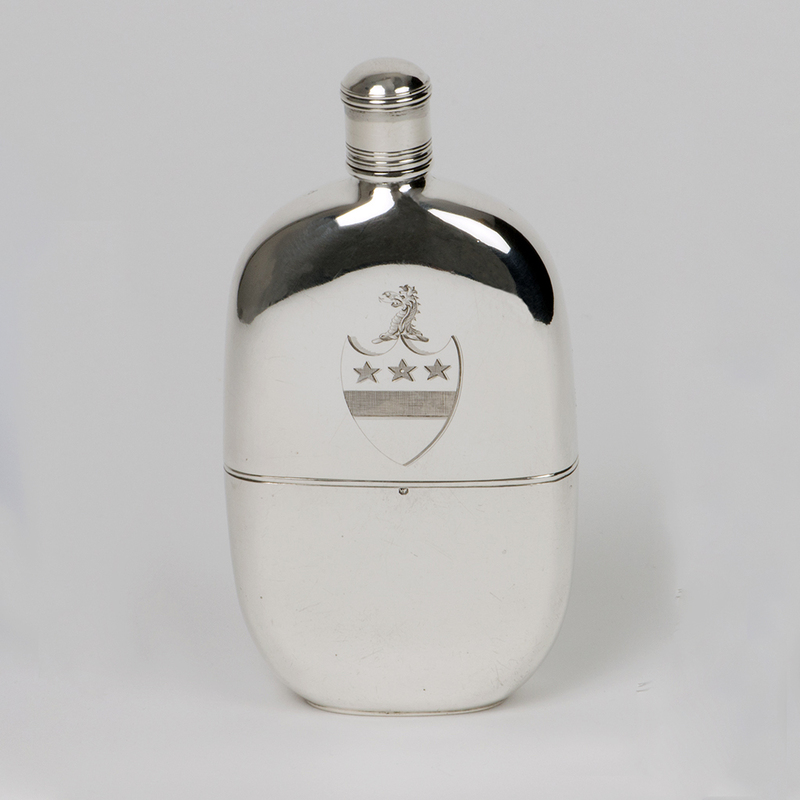 The body of the flask is engraved with an armorial for a branch of the family of Leigh. 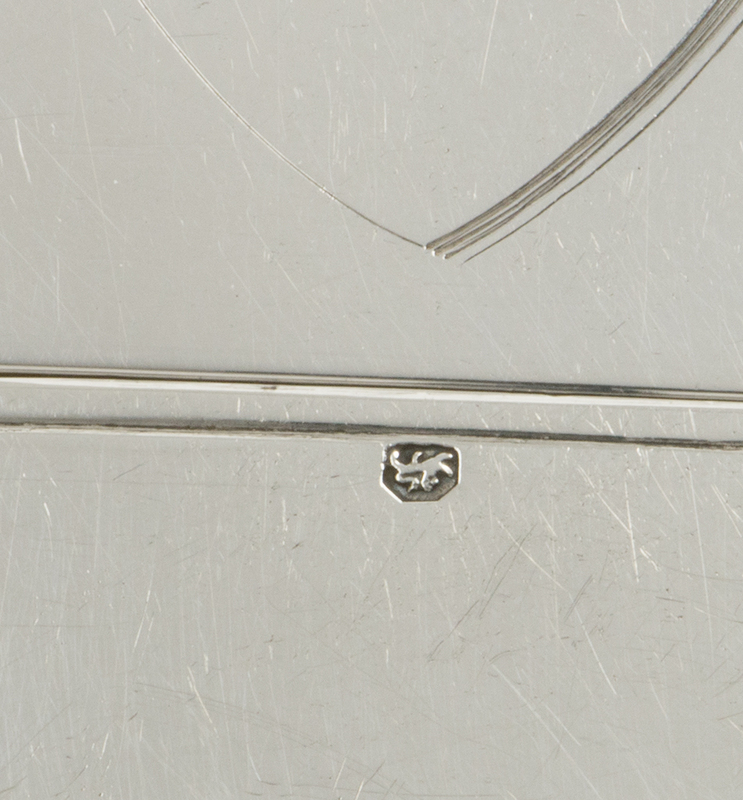 Length – 15.50 cm. 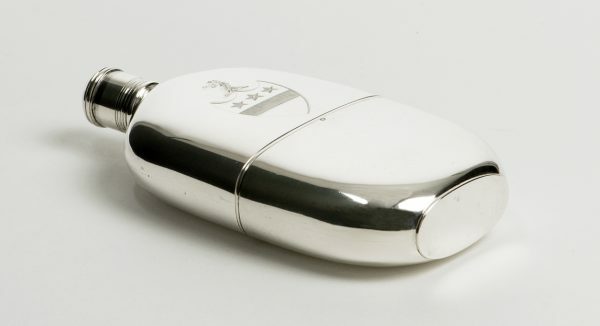 ; Width – 8 cm. 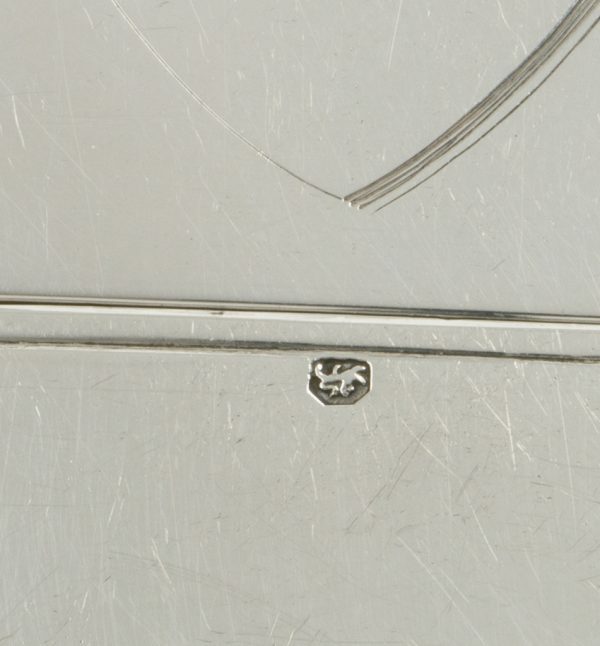 ; Depth – 3 cm. 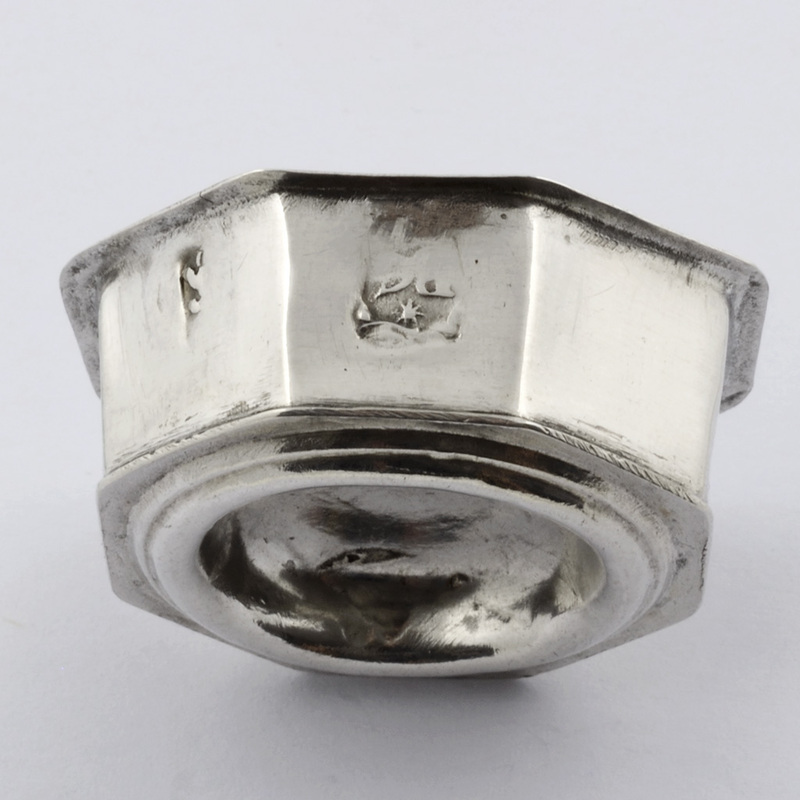 ; Weight – 228.7 gms. 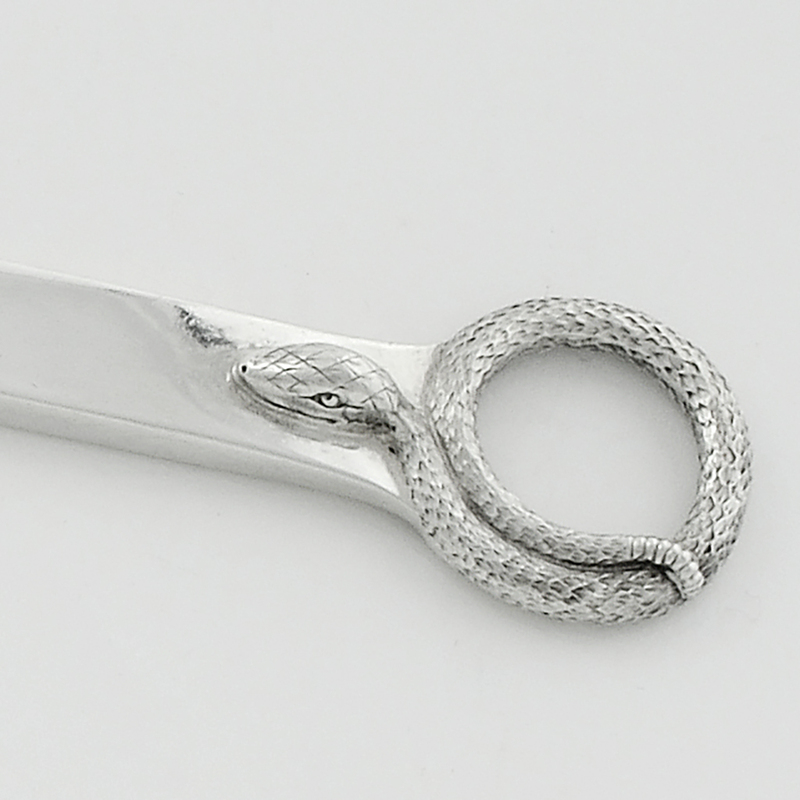 A William IV snake head silver Skewer. 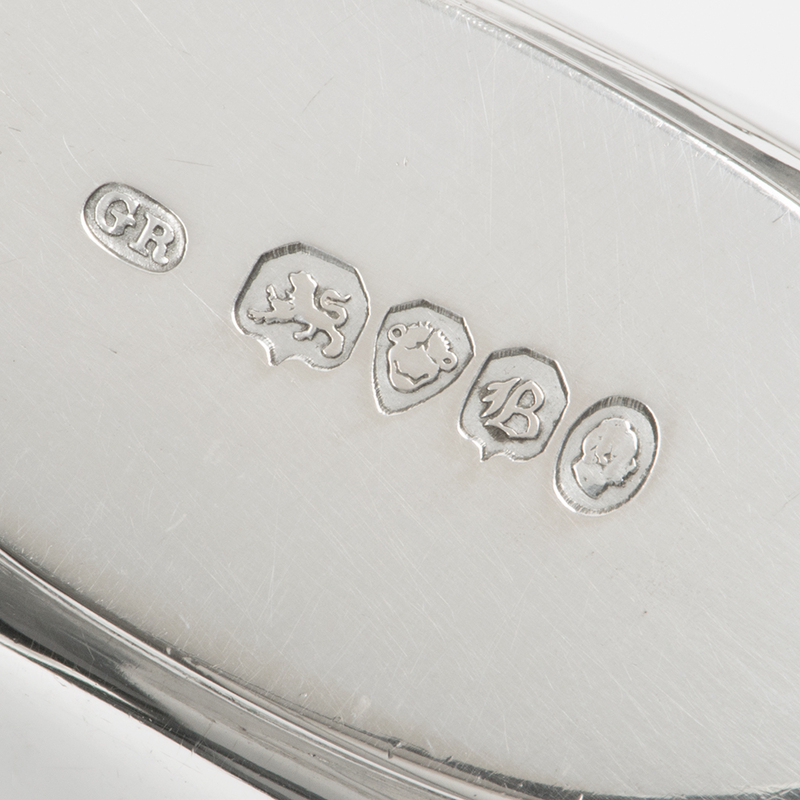 Send Enquiry for A William IV snake head silver Skewer. A pair of George III sprung silver Asparagus Tongs. 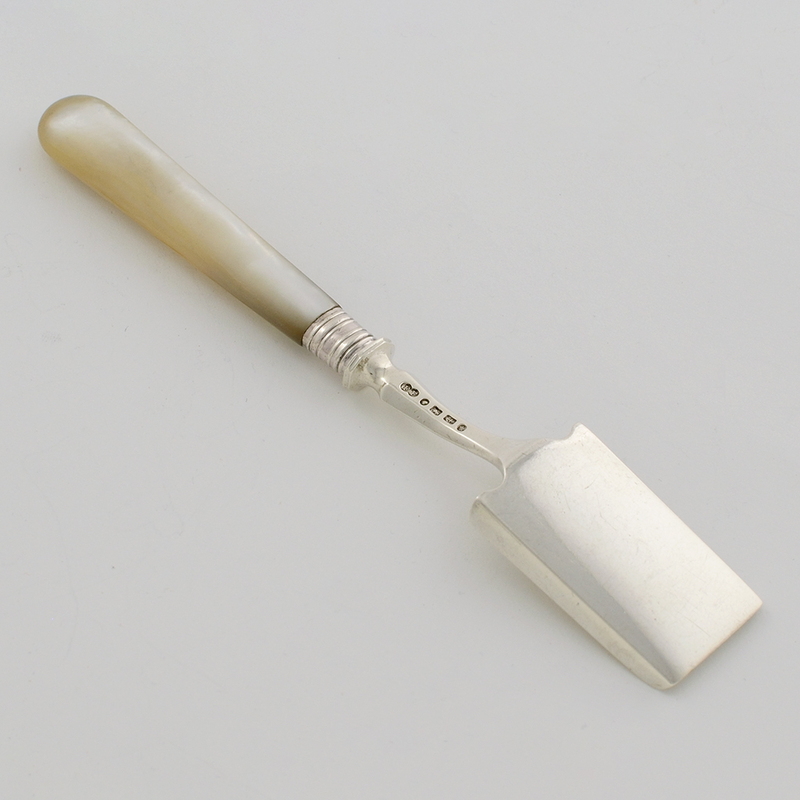 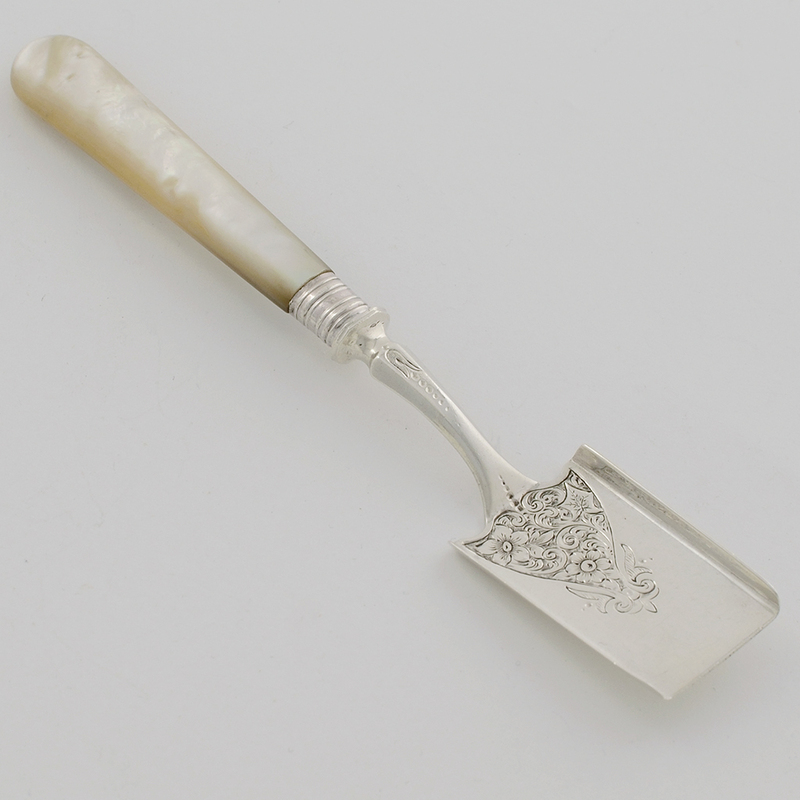 Send Enquiry for A pair of George III sprung silver Asparagus Tongs. 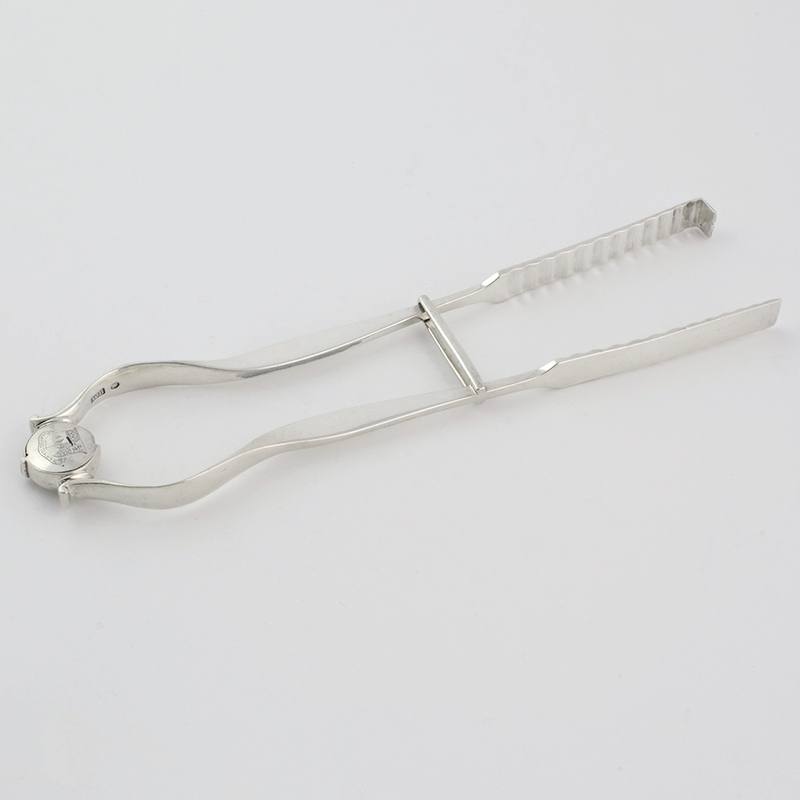 previous post: A pair of art Deco silver Serving Tongs. 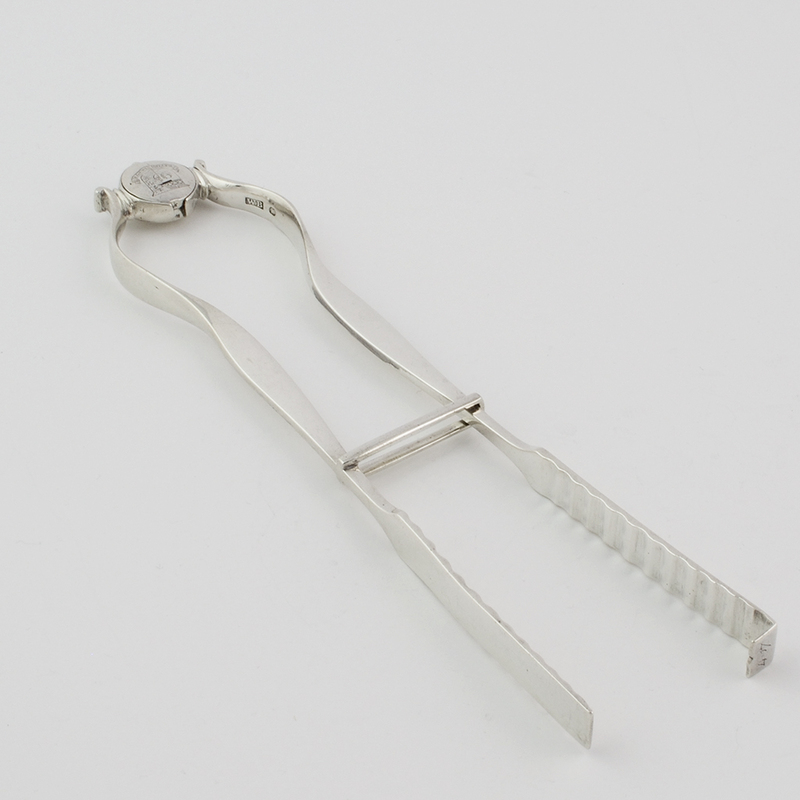 next post: An art deco silver Toastrack by Charles Boyton.